Comprehensive Connectivity Company's new Pro AV/IT Lightning Cables enable quick connections with iOS devices, according to the company. 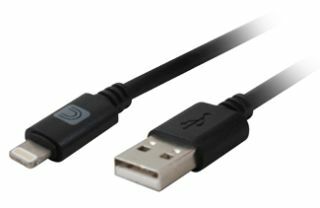 Comprehensive's Pro AV/IT Lightning Cables are MFI certified and can connect an iPhone, iPad, or iPod to a computer's USB port for syncing and charging or to the Apple USB power adapter for charging from a wall outlet. Comprehensive Pro AV/IT Lightning cables feature dedicated strain relief where the cabling meets the connector to prevent the cable from coming apart. The cables also feature Comprehensive's exclusive Surelength indicators that clearly indicate the length of each cable on the connector mold. In addition to these features, the Lightning connector is reversible and can be plugged in upside down or right-side up.